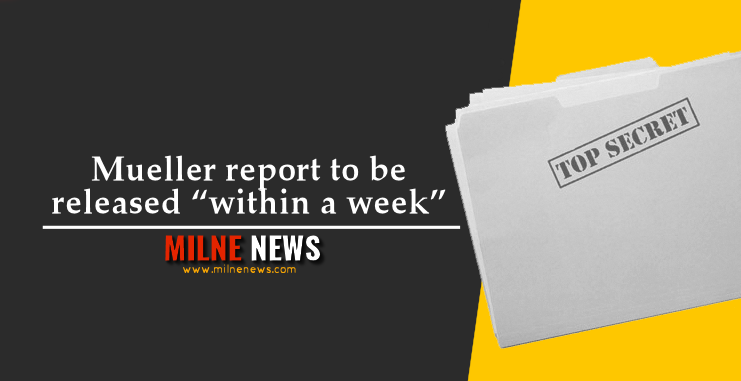 The long-awaited report from Special Counsel Robert Mueller should be released “within a week,” according to Attorney General William Barr. Speaking to the House Appropriations subcommittee on Tuesday morning, Barr was asked about releasing the Mueller report. He told lawmakers that there were laws in place that prevented him from releasing an unredacted version of the 300-plus page report. Barr said the process to redact sensitive and classified information was going “very well,” and that he will be able to release the report according to the schedule he had previously stated. Barr also suggested that he would make the redacted report as transparent as he possibly can, with explanations as to why any portion is redacted. When asked about details of the Mueller report containing the special counsel’s concerns that President Trump engaged in obstruction of justice during the investigation. Barr said the details regarding that most likely will not be redacted.